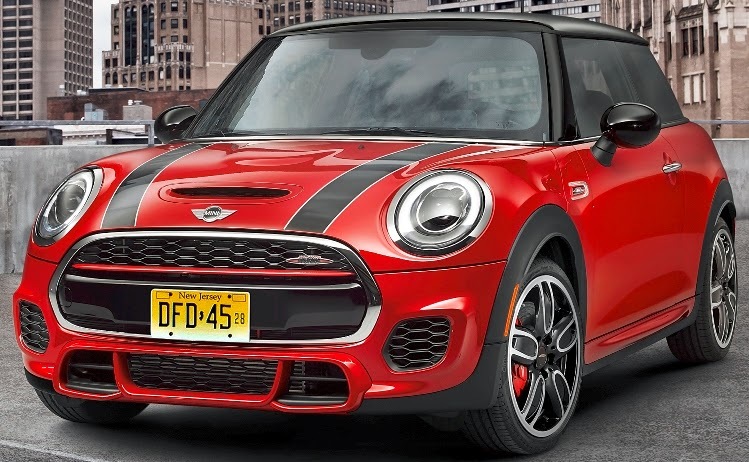 The new MINI John Cooper Works with a powerful 4-cylinder turbo engine, a sports suspension including Brembo sports brake system and exclusive John Cooper Works light alloy wheels will make its world premiere at the North American International Auto Show in Detroit in mid-January. The 2015 Audi RS 5 Coupe Sport edition has a 450 horsepower 4.2-liter V8 and a seven-speed S tronic transmission with launch control program taking it from 0 to 60 in 4.5 seconds amd to an electronically-governed top speed of 174 mph. The 2015 RS 5 Coupe Sport edition features 20’’ 5-V-spoke design wheels and red brake calipers, and is available in Daytona Gray pearl effect, Nardo gray and multiple optional paint colors with Crimson Red Fine Nappa leather interior accents. The sport-tuned suspension sits the body 0.8 inches lower than the Audi A5. 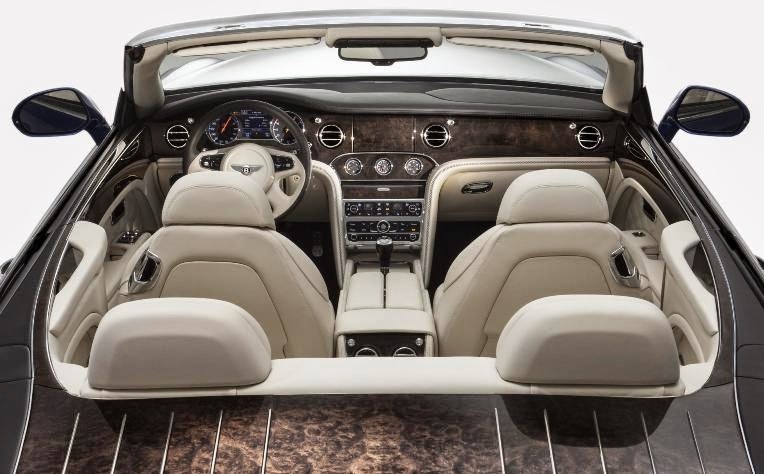 A total of 75 will be produced with a starting MSRP of $87,575. 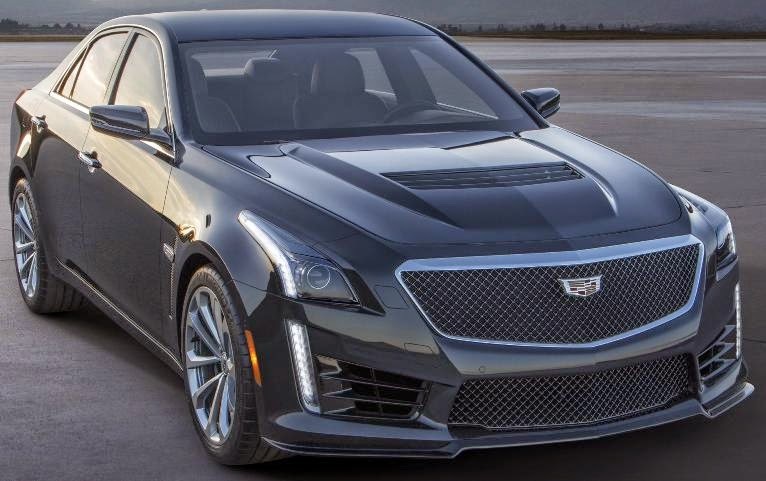 The 2016 Cadillac CTS-V, the third generation V-Series luxury sports sedan that launched a decade ago, gets 640 horsepower, delivers 630 lb-ft of torque, sprints from 0-60 in 3.7 seconds and hits a top speed of 200 mph from a new supercharged 6.2L V-8 engine mated to Cadillac’s paddle-shift eight-speed automatic transmission, featuring launch control and Performance Algorithm Shifting. The CTS-V shares the same 114.6-inch wheelbase as the CTS non-V-Series models, but has wider front and rear footprints that enhance grip, reduce body motion and contribute to more direct-feeling steering. The 2016 Cadillac CTS-V launches in late summer. The production version Acura NSX mid-engine supercar with three-motor, twin-turbocharged Sport Hybrid power will make its world debut at the 2015 North American International Auto Show on Jan. 12, 2015. The NSX comes back after being discontinued in 2005. The BMW 6 Series and BMW M6 will make their world debuts at the 2015 North American International Auto Show in the form of the new BMW 6 Series Coupe, BMW 6 Series Gran Coupe, and the BMW M6 Convertible. The BMW 650i Coupe, Convertible and Gran Coupe are equipped with a BMW TwinPower Turbo V8 that produces 445 horsepower and 480 lb-ft of torque and mated to an 8-speed Steptronic sport automatic transmission, accelerating from 0 to 60 in 4.4 seconds. The BMW 640i Coupe, Convertible and Gran Coupe use BMW’s TwinPower Turbo inline six, generating 315 horsepower, 330 lb-ft of torque mated to an 8-speed Steptronic sport automatic transmission, accelerating from 0 to 60 in 5.2 seconds. The M6 Coupe and Gran Coupe using a 4.4-liter BMW M TwinPower Turbo V8 engine which generates 560 horsepower and 500 lb-ft of torque, will accelerate from 0 to 60 mph in about four seconds (4.3 seconds for the M6 Convertible). The BMW M6 transfers the engine’s power to the rear wheels via either a 6-speed manual transmission or a 7-speed M Double Clutch Transmission with Drivelogic. BMW 6 Series vehicles will arrive in US showrooms in the second quarter of 2015. 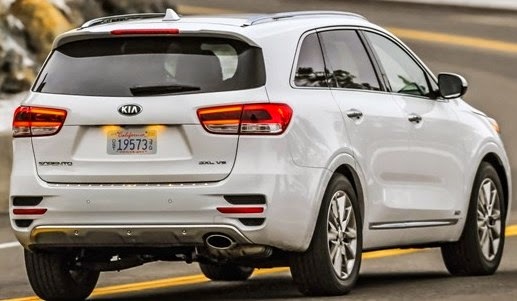 The all-new 2016 Kia Sorento, available in L, LX, EX, SX and SXL trim levels, is 3.1 inch longer with 109.4-inch wheelbase and is slightly wider at 74.4 inches than its predecessor model to help accommodate a third row of seats. The 2016 Sorento offers three engines, including a new 2.0-liter turbocharged four cylinder, a 3.3-liter V6 and an improved 185 horsepower 2.4-liter normally aspirated inline-4 engine with new Electronic Intake Continuously Variable Valve Timing. All three engines are mated to an electronically controlled six-speed automatic gearbox featuring Sportmatic® shifting. 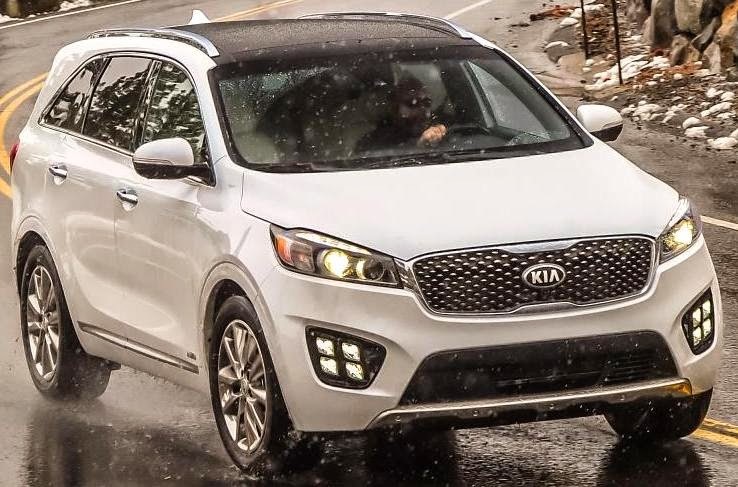 The 2016 Sorento has available Geo-fencing, Speed Alert, Curfew Alert and Driving Score. The new UVO system, includes Siri® “Eyes Free”5 and Local Search powered by Google® for finding locations, addresses and points of interest. U.S. sales begin in January 2015. My 2007 Sorento is going strong with over 60,000 miles. The Mercedes-Benz GLE 450 AMG 4MATIC Coupe with a 362 horsepower biturbo V6 engine that produces 384 lb-ft of torque is mated to a 9G-TRONIC nine-speed automatic transmission and has 4MATIC permanent all-wheel drive. 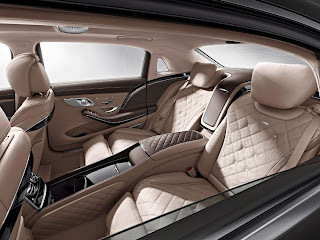 The GLE is formerly the M-Class, the SUV in the E-Class segment. The GLE sports coupe offers the DYNAMIC SELECT dynamic handling control system, the Sports Direct-Steer system and the Driving Assistance package which includes DISTRONIC PLUS with Steering Assist, PRE-SAFE® Brake with pedestrian detection, BAS PLUS with Cross-Traffic Assist, Active Blind Spot Assist, Active Lane Keeping Assist and PRE-SAFE® PLUS. The Parking package with 360° camera and Active Parking Assist with PARKTRONIC guarantees an excellent overview and problem-free maneuvering into and out of parking spaces. The LED Intelligent Light System which is a standard feature on all models and MAGIC VISION CONTROL is the heated, adaptive windscreen wiper system for adverse weather conditions. The GLE Coupe and GLE AMG looks like Mercedes-Benz answer to the BMW X6 and X6 M.
James Bond will be driving an Aston Martin DB10, a model developed specifically for the next 007 film, Spectre, due for release on November 6, 2015. The Audi A7 Sportback h-tron quattro concept is hydrogen fuel cell, plug-in electric hybrid vehicle with a range of 310.7 miles on one tank of fuel with an exhaust emission of a few drops of water. The Audi A7 Sportback h-tron quattro has 170 kilowatts of electric drive power driving two electric motors to drive all four wheels. The 2016 Audi TT also debuted at the 2014 Los Angeles Auto Show. 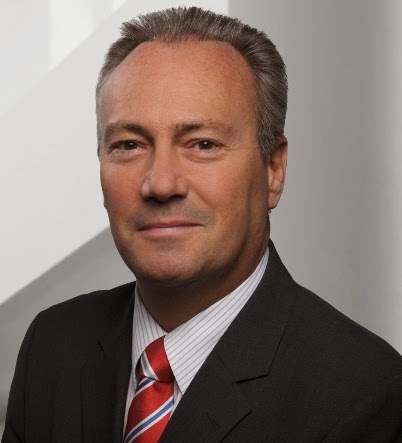 Prof. Dr. Ulrich Hackenberg, Member of the Board of Management for Technical Development at Audi discusses the new TT sports car and the Audi A7 Sportback h-tron quattro concept vehicles. General Motors dealers in the United States delivered 225,818 vehicles last month for the company’s best November sales in seven years, up 6 percent compared to a year ago, with Cadillac November sales 13,148, down 18.7 percent. Year-to-date sales of 2,660,525, is up 4.1 percent over 2013 while Cadillac is a 154,600, a drop of 5.9 percent from a year ago. Ford Motor Company U.S. sales totaled 187,000 vehicles in November, down 2 percent from a year ago. Lincoln sales of 8,113 vehicles provided a 21 percent gain and the brand’s best November in seven years. Year-to-date sales of 2,260,271, is a 0.7 percent drop from 2013 with Ford at 2,175,487, down 1.2 percent and Lincoln at 84,784, a 15 percent gain from last year. Toyota, Scion and Lexus reported total November 2014 sales results of 183,346, an increase of 3 percent over November 2013. 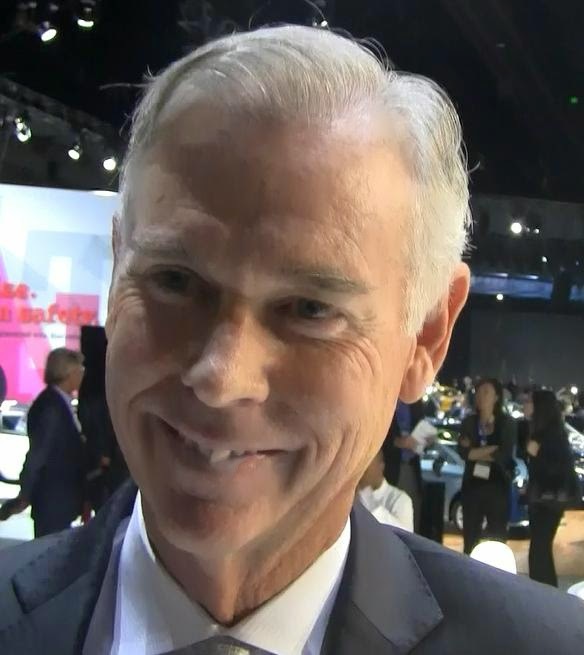 Toyota division posted November 2014 sales of 155,874, up 2.3 percent. Lexus reported November sales of 27,472, a 7.3 percent increase year-over-year. Year-to-date sales of 2,158,714 is a 5.6 percent gain over 2013, with Toyota division sales of 1,887,204, up 4.5 percent and Lexus sales of 271,510, a 13.6 percent increase. 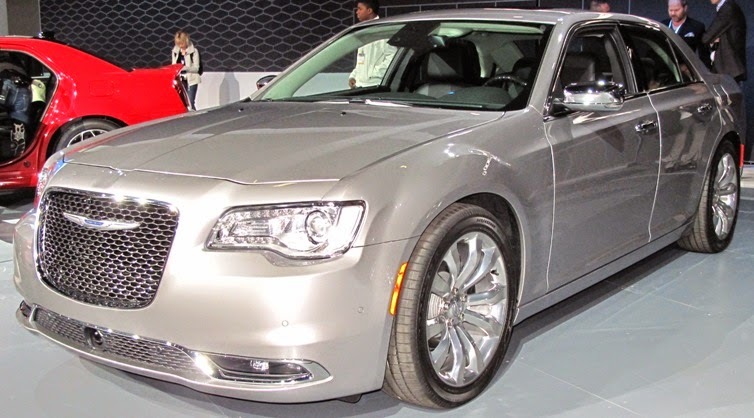 Chrysler Group reported U.S. sales of 170,839, a 20 percent increase compared with sales in November 2013 for its best November sales since 2001. Year-to-date sales of 1,897,378, is up 16 percent over a year ago. American Honda reported a new November Honda and Acura vehicle sales record of 121,814, an increase of 4.6 percent versus November 2013. The Honda brand set a new November best, recording sales of 106,957 vehicles, an increase of 4.9 percent for the month. 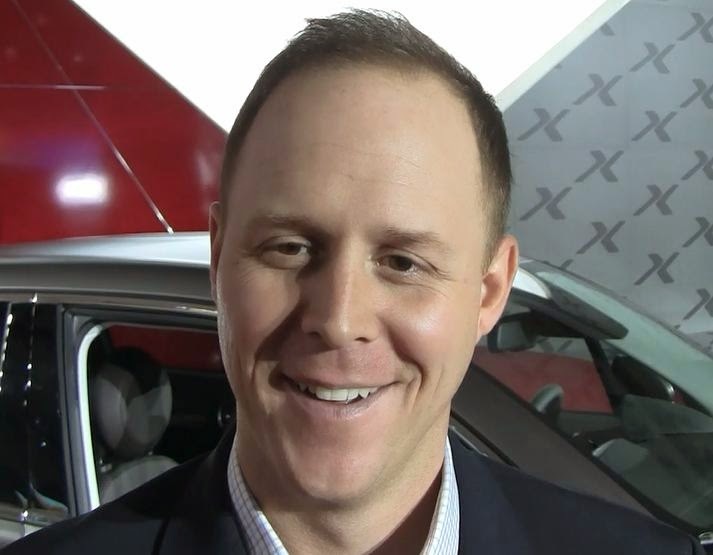 The Acura brand posted sales of 14,857 in November, increasing 2.0 percent over the same period last year. Year-to-date sales for both brands of 1,403,591 is up 1 percent with Honda at 1,240,372, up 1.1 percent and Acura at 150,034, an 0.2 percent gain. Nissan Group announced total U.S. sales for November 2014 of 103,188, a 3.1 percent decline from a year ago. Nissan division November sales of 91,790 is a 1.7 percent drop and Infiniti sales of 11,398 is a decline of 13.3 percent versus November 2013. Year-to-date, Nissan has now set a record for most U.S. sales in a year in the company's history with 1,269,577, up 11.5 percent for the year with Nissan Division at 1,164,254, up 12.4 percent and Infiniti at 105,329 through November, a gain of 2 percent. 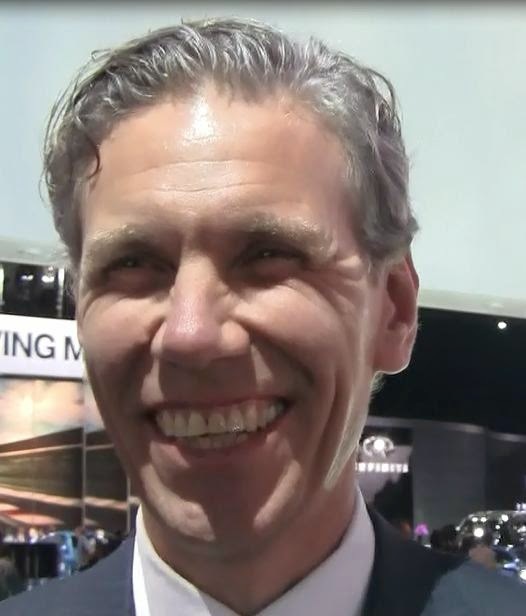 Hyundai Motor America announced November sales of 53,672, down 4 percent versus the record setting period in 2013. Year-to-date sales of 661,211, a gain of 0.5 percent from last year. 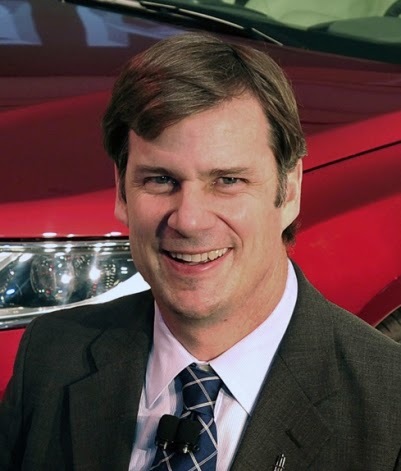 Kia Motors America announced November sales of 44,936, down 1 percent from last November. 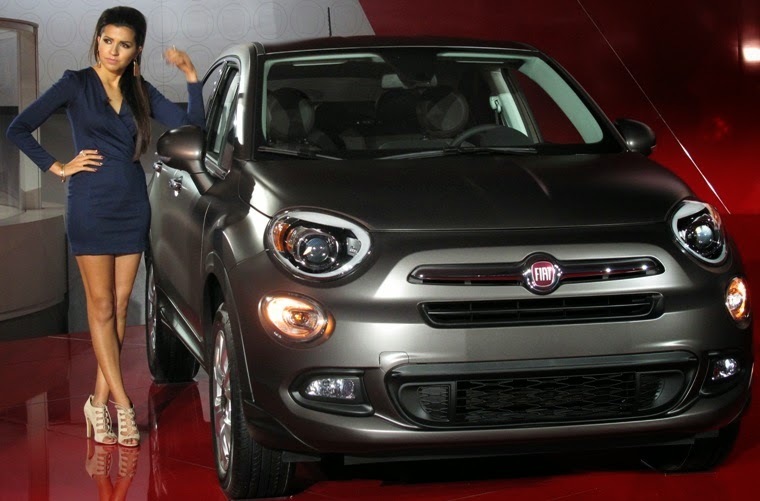 Year-to-date sales are 534,647, up6.6 percent from 2013. 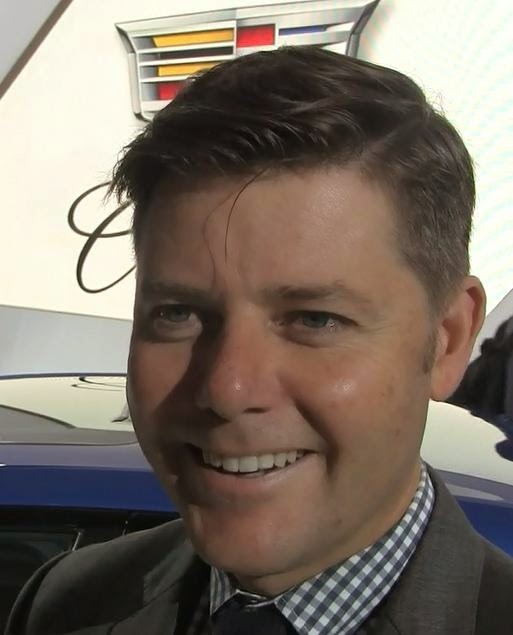 Volkswagen of America reported 31,725 vehicles delivered in November, a 3.2 percent rise while year-to-date sales of 332,911 is a 10.9 percent decline from 2013. Separately, Audi reported November U.S. sales of 16,640 vehicles, a 22 percent increase and marking the 47th consecutive month of record U.S. sales for the brand. Audi U.S. sales year-to-date of 162,773 is 15.4 percent increase, setting a new annual sales record with one month to go in 2014. 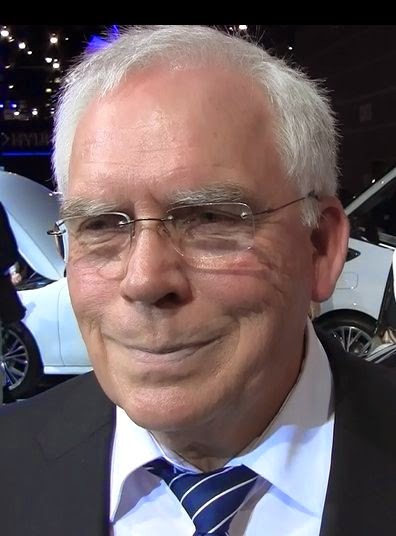 Subaru of America November sales of 45,273 vehicles, a 24 percent increase over November 2013 continued the record-breaking run with the best November in the company’s history. Subaru’s year-to-date sales of 463,770 is up 21 percent from a year ago and surpassing 2013's record year. Mercedes-Benz reported the highest monthly sales in its history with a best-ever November total of 34,578, up 1.6 percent compared to the same month last year. Sprinter sold 2,532 and smart 815 units to bring total November sales at Mercedes-Benz USA (MBUSA) to a record 37,925. 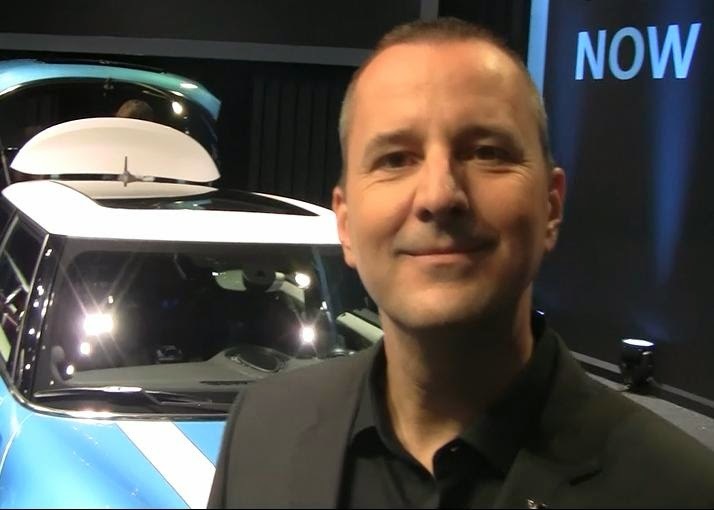 Year-to-date, Mercedes-Benz sales are 296,382, a 6 percent increase over last year, with 22,457 vehicles at Sprinter, up 18.3 percent, and 9,480 at smart, a gain of 12.7 percent, for an MBUSA year-to-date total of 328,319, a gain of 7 percent vs. 2013. The BMW Group in the U.S. (BMW and MINI combined) reported November sales of 36,028 vehicles, a decrease of 0.8 percent from the same month a year ago. 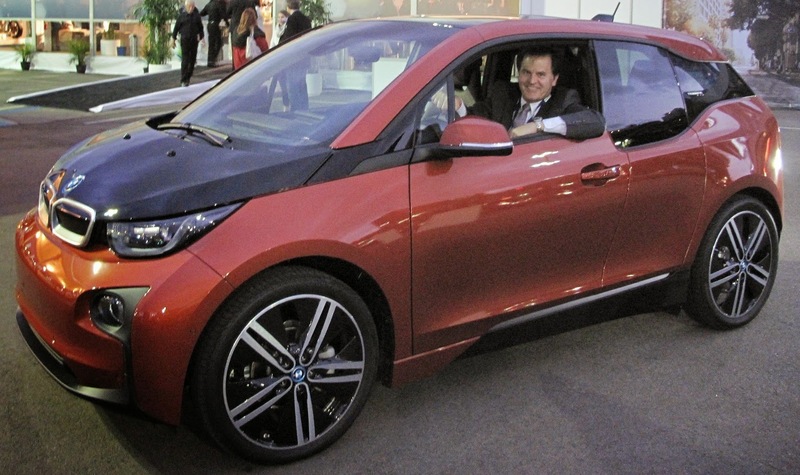 Sales of BMW brand vehicles decreased 2.3 percent in November for a total of 31,019 compared to November 2013. Year-to-date, the BMW brand is up 9.7 percent on sales of 298,212. 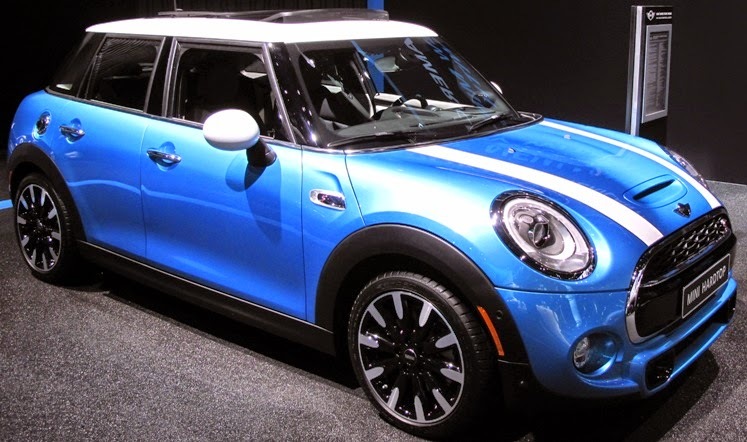 Year-to-date, the BMW Group (BMW and MINI combined) is up 4.8 percent on sales of 347,709 in the first eleven months of 2014 compared to the same period of 2013. 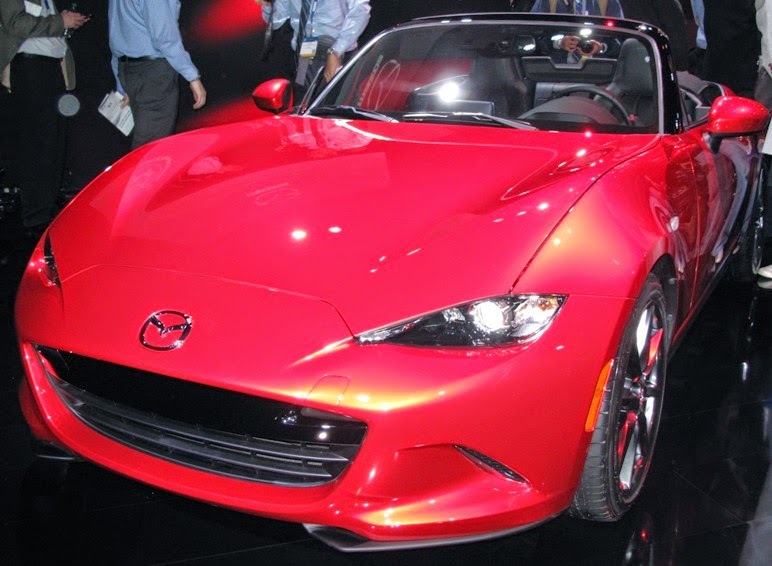 Mazda North American Operations reported November U.S. sales of 21,242 vehicles, representing an increase of 2.4 percent versus last year. Year-to-date sales through November are 280,993 vehicles sold, up 7.7 percent versus last year. Mitsubishi Motors North America reported November sales of 6,534, a 7.6 percent increase over the sales total from November 2013 and the best November in the last seven years. Year-to-date sales of 71,098 is a 27.4 percent increase over last year. 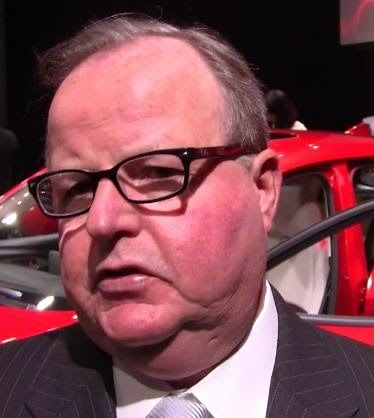 Porsche Cars North America announced November 2014 sales of 4,699 vehicles, up 18.5 percent from a year ago. For the year, PCNA has delivered 43,732 vehicles in the U.S., an increase of 11.9 percent over the same time period in 2013. 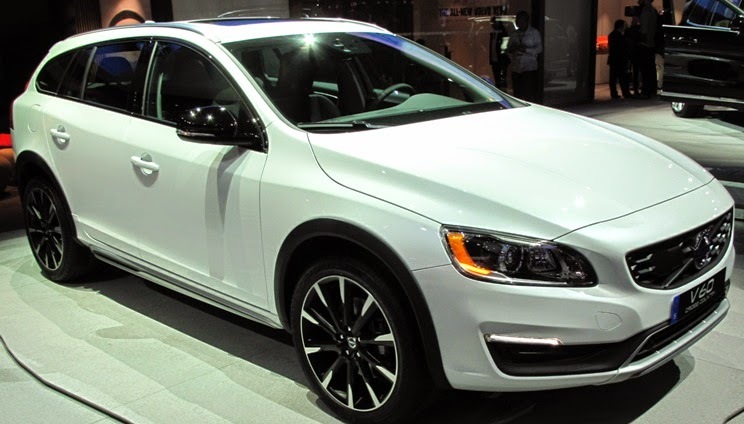 Volvo Cars of North America reported U.S. sales of 3,623 for the month of November, a drop of 14.4 percent from a year ago. Year-to-date sales are 51,446, down 8.7 percent versus the first eleven months of 2013. Maserati North America reported its strongest November sales performance with a record 1,235 vehicles sold. The Scion iM Concept five-door compact hatchback with a price tag under $20,000 targets youthful customers featuring front and rear bumper overhangs, deep air intakes and fog lights, and 19-inch forged alloy wheels flush with the body while vented rotors with 4-piston front calipers work with the adjustable-height racing suspension. 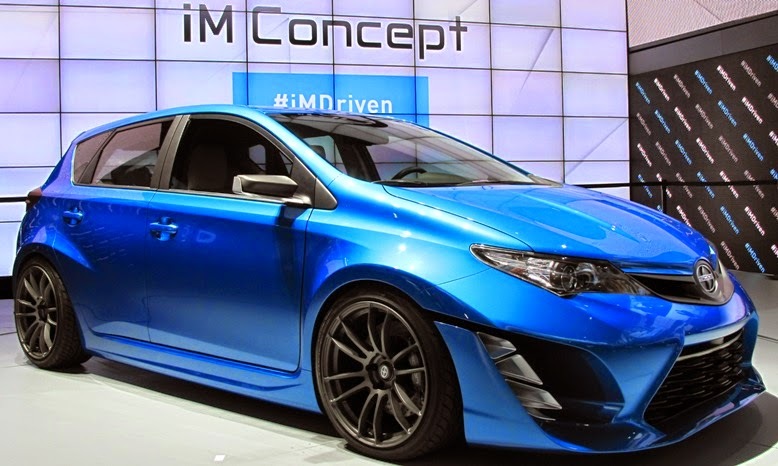 The Scion iM Concept will be coming to dealerships in 2015 with details at the New York International Auto Show in April and closer to launch. 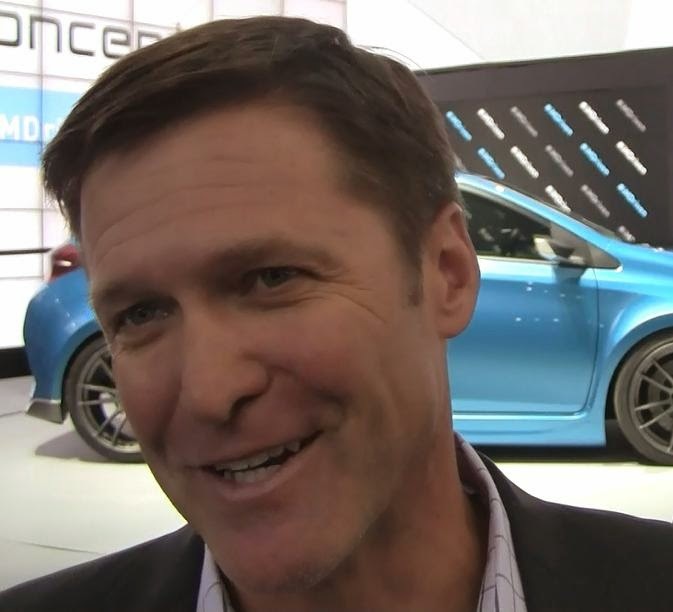 Scion Vice President Doug Murtha discusses the iM and the Scion brand.